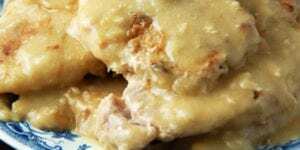 Crock Pot Cheesy Chicken Rice Casserole - Recipes That Crock! Are you looking for a delicious cheesy casserole that is the definition of comfort food? 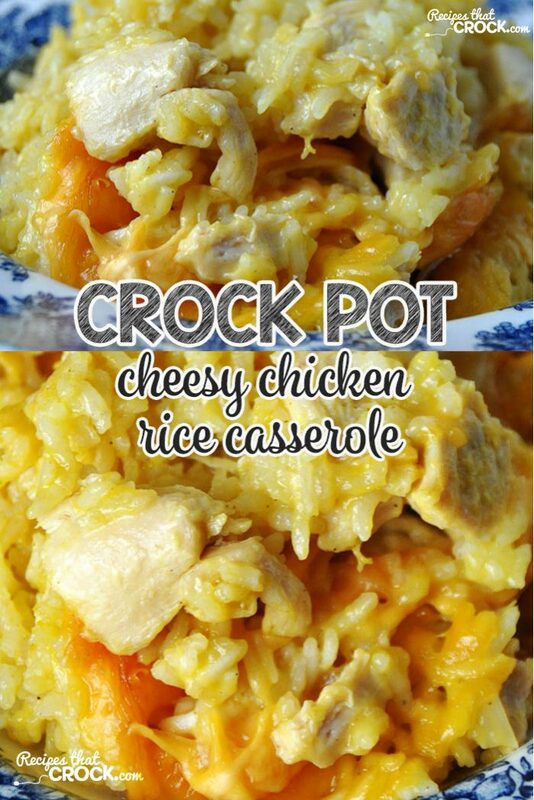 This Crock Pot Cheesy Chicken Rice Casserole is so simple to make and an instant family favorite for dinner. Sometimes you just need some good ol’ comfort food. 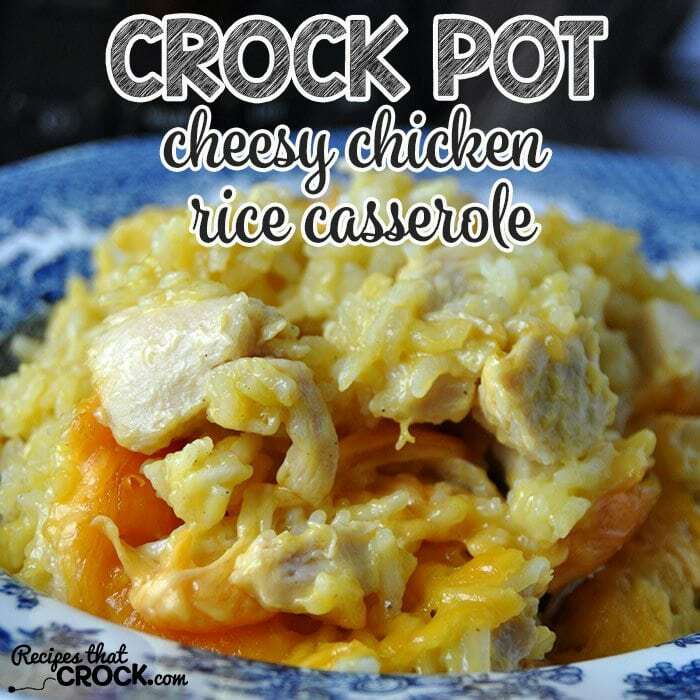 This Crock Pot Cheesy Chicken Rice Casserole that I adapted from Gooseberry Patch’s 101 Hearty Recipes is a recipe I will definitely be coming to again and again for just that! UPDATED with a video from Mikey. Whether it is a rough week, you aren’t feeling good or you have just been running yourself ragged, there are times when you just want some make-me-feel-like-I’m-back-at-momma’s-house food. 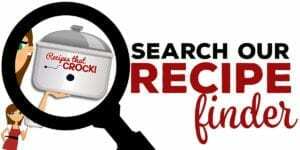 I was having one of those weeks and was so glad that this Crock Pot Cheesy Chicken Rice Casserole was on my list for my $50 Challenge for April (read more about it here). 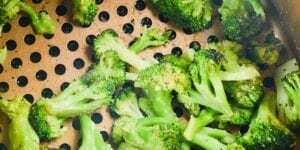 Make sure you use long-grain, long cooking rice for this. A good way to tell is to look at the cooking instructions on the package. You want the package that tells you to bring the water to a boil and let it simmer for at least 15 minutes, NOT the package that says you can be done in 5 minutes in the microwave. Know your slow cooker any time you are cooking rice in a recipe. I can’t tell you enough how important this is! If your crock pot doesn’t cook evenly or cooks too hot or cooks too slow, it can ruin a recipe with rice in it. That is why I used Sir Hamilton (my insulated Hamilton Beach slow cooker). He is a 6-quart slow cooker, so that gives the recipe enough room to spread out. 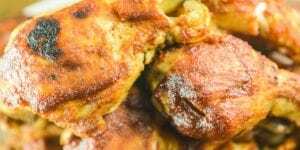 He cooks perfectly and evenly, so I know that I am not going to have hot spots that turn the rice to mush or slower cooking spots that leave me with crunchy rice. This is not a recipe to try out on your new crock. 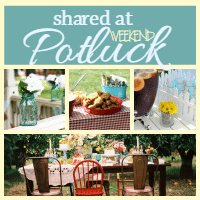 Use your tried and true, favorite crock pot that you know cooks evenly. 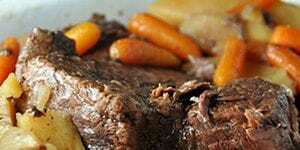 If you are experienced with your casserole crock, this would be a great recipe for it as well! 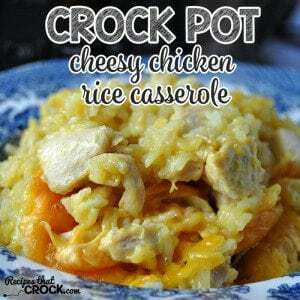 This Crock Pot Cheesy Chicken Rice Casserole is delicious comfort food! 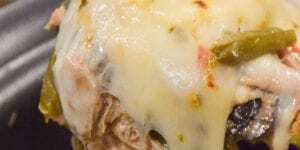 Did you use condensed soups (like Campbells) in this recipe? I want to make this, but want to make sure there is enough liquid for the rice. Thanks!! I made this last night and it was great even though the rice was crunchy. I do not know my new crock pot as well as I thought. I will go back to my old trust worthy one, and make it again. I’ve been there before! I hope it turns out as great for you next time with your old trustworthy crock pot as it did for me with Sir Hamilton! I’m glad you liked it even with the crunchy rice! If I make this in my casserole crock, would I cook it the same amount of time? Thanks! Yes, I think this recipe should take about the same amount of time in a casserole crock. 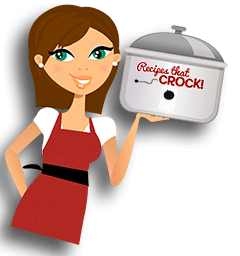 With any recipe that involves cooking rice, you want to make sure that you use a crock pot that you know really well and that you watch it the first time you make it so you can know how your crock pot cooks that particular recipe. Enjoy! 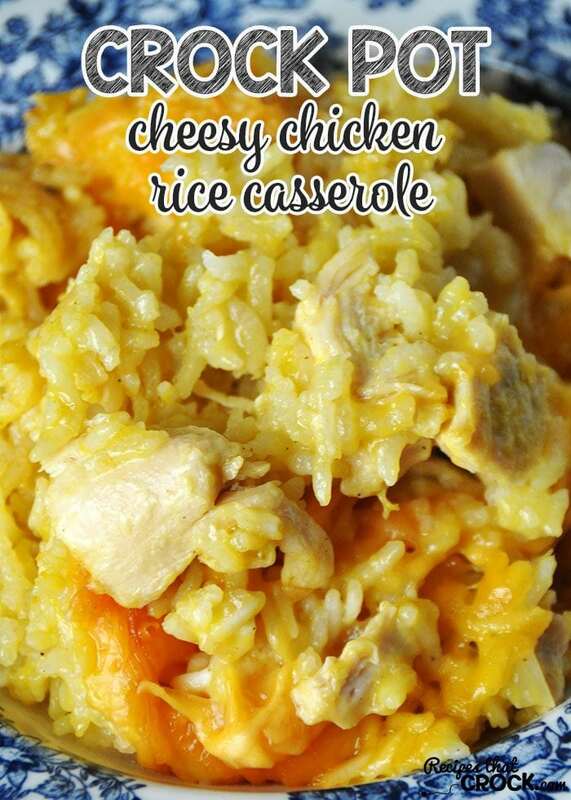 I love chicken, rice and cheese recipes. I add cream of. Mushroom soup, fresh mushrooms and broccoli, or carrots to my mix. Then everything is there. I don’t have to add a salad and. Everything is cooked in one pot. That’s a great way to turn this into a one-pot meal! You know how much we love those around here! Enjoy! I haven’t tried it, but as long as it is a long cooking rice, I think it would work! Let me know how it turns out. Enjoy! Help. Your Pin It button never works for me. So I can never save your recipes. Yes, it is 4 cups cooked chicken, cubed. Enjoy! Here’s an idea, get a binder. Get some one page sleeves. Print the recipe. Put it in the sleeve. Put the sleeve in the binder. Congrats you made your own personal cookbook. I have one and I need to get a bigger one with all the rec’s I’ve collected. The plastic sleeve makes it so if I spill the paper won’t be damaged. And if I ever lose internet or power, I have it available.